We have all heard about green roofs and know about their environmental advantages, but there is a new concept that is taking root, especially in urban environments: green walls or living walls. Better than the old ivy-covered buildings, which can be adversely affected by the vines, these walls are designed to feature a variety of different plants in a vertical environment, and provide all of their needs for moisture and support right on the wall. These walls can be either exterior of interior, and they provide advantages in both situations. On the outside they will shade the wall from the intensity of the sun, and thus moderate the temperature considerably, as well as provide lovely textural contrast and beauty. Plant surfaces, as a result of transpiration, do not rise more than 4–5 °C above the ambient and are sometimes even cooler. On the inside they will filter and oxygenate the air, providing a healthier indoor environment, while also creating the calming effect that natural plants tends to have on most people. 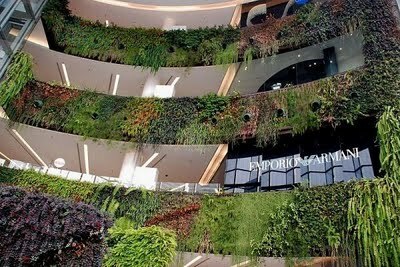 Vertical gardens can be grown on just about any type of wall, with or without the use of soil. 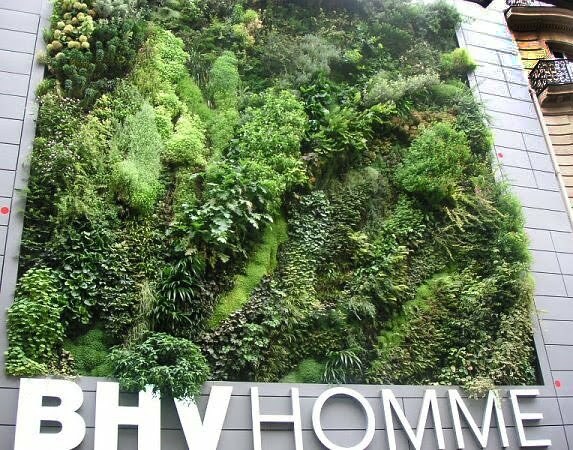 Many living wall kits come with modular forms that are assembled and applied to a frame that then is affixed to the wall. The most common frame for sale today is a panel that is self-supporting and can be set up independently or attached to a real wall. It is then filled with soil or a soil-less medium and planted. 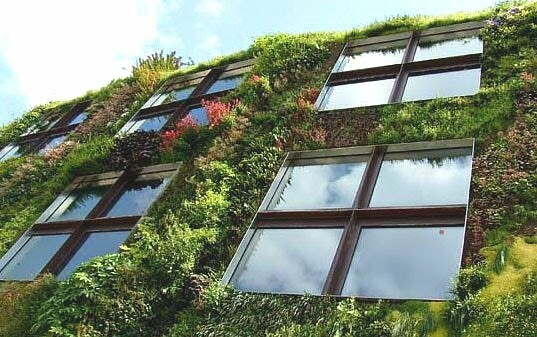 Once the initial panels are in place living walls require little maintenance. They are designed so that their upkeep is about the same as a landscaped garden. 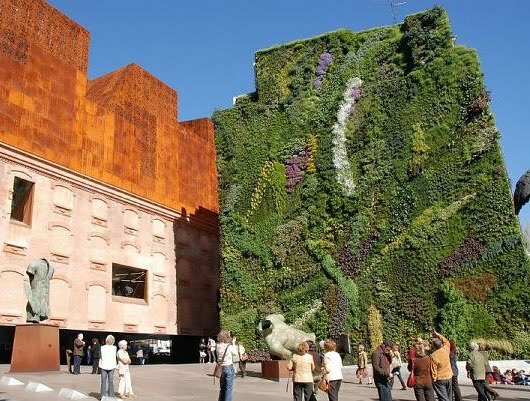 When you combine the obvious environmental benefits of living walls with their sheer beauty I anticipate that we will be seeing many more examples of this wonderful art form. For more details and photos see greenhomebuilding.com.